"Saevil Row took the time to listen and really understand who we were and what we offer as a brand. They even helped us find our studio name on the first phone conversation we had! 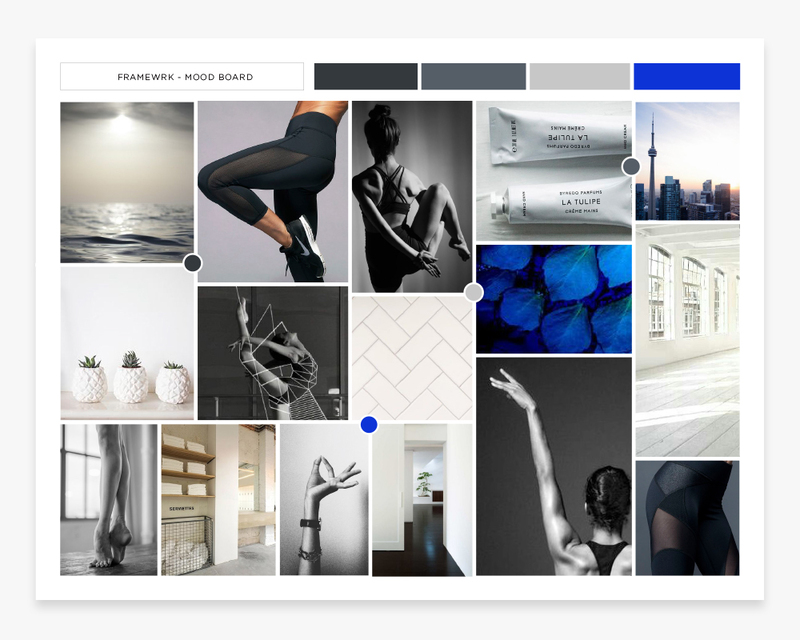 Their results were a perfect execution of understanding and creativity and I would recommend them to everyone who is looking for a brand and design professional"
The principles of movement are simple - it all starts with a solid base. 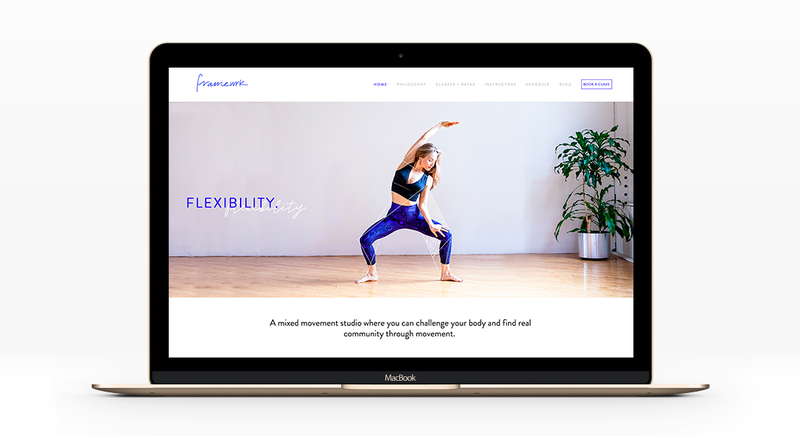 Fitness aficionado and owner of Framewrk, Josephine Cuthill, had the foundations of her business but needed some help bringing this to life - name included! After a few strategy sessions, we chose 'FRAMEWRK' and begun working on a logo that would define what that means for her and her clients. 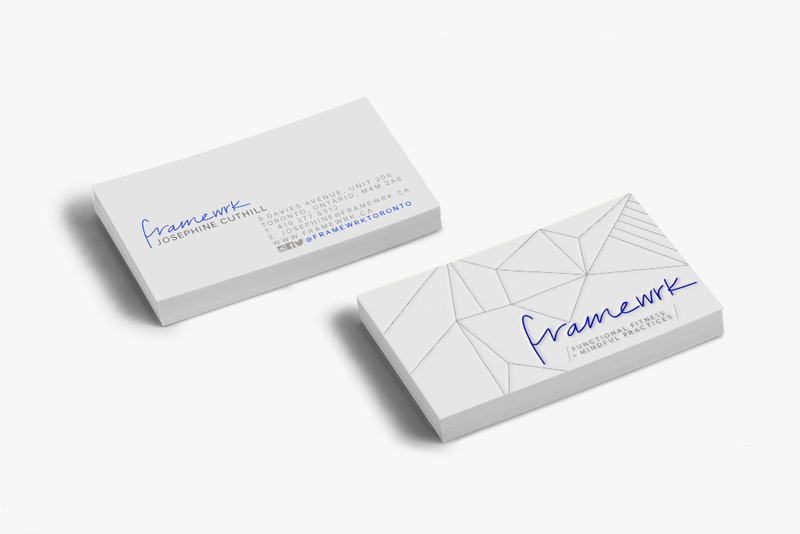 Framewrk isn't just a yoga studio, it's so much more, so we needed a look that would compliment the very essence of her brand. 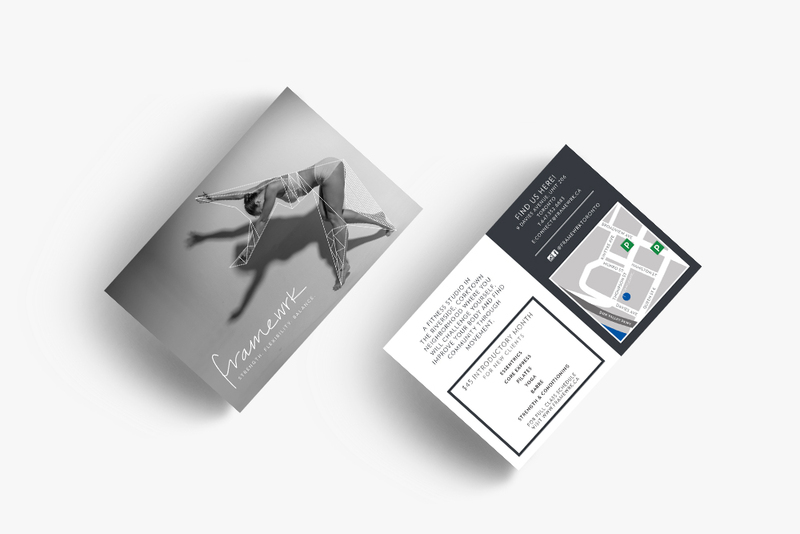 We created a fluid identity that mimicked movement and had the right amount of 'breathing room'. This translated through all aspects of her business, from stationery to web and in between.